Is your ball too slick for it's own good? Use AMF Bowlers Tape to get a grip! 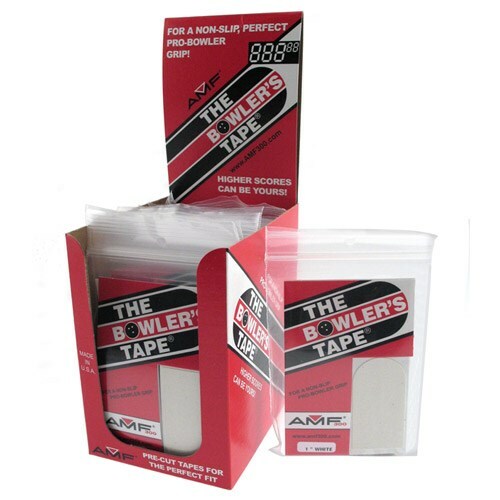 AMF bowlers tape is the Original leading bowlers tape. You can customize your hole size and improve your gripping power. Purchase this AMF Bowler's Tape Black 3/4" today and get a good grip on your ball! Display box is great for vendors! Due to the time it takes to produce the AMF White 1" Display Tape 30 Pc Box/12 ball it will ship in immediately. We cannot ship this ball outside the United States.